An absolutely beautiful detail from Kathryn's wedding, photographed by Our Labor of Love. Topper by Etsy's dolciodille. So adorable! 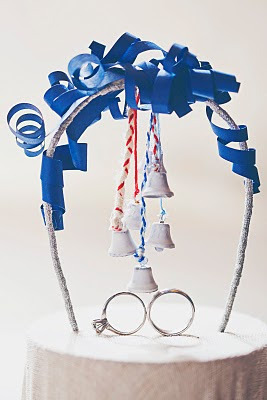 Love love love this topper + the ring shot! This is so cute! I love creative people! oh how cute and different! thanks for the photographer idea:) I will look into it. now that's just too cute.